A push pull amplifier is an electronic circuit which delivers currents and absorbs currents from loads. Consider this type of amplifier as a more advanced version of single-ended amplifiers. A single-ended amplifier is a vacuum tube which has 3 electrodes in it. 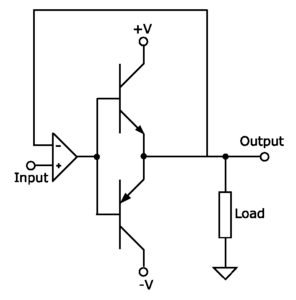 Singled-ended amplifiers use one transistor to drive a load. It’s different in comparison to a push pull amplifier because it has one device, and generates current by itself. A push pull amplifier has 2 active devices which do the supplying and absorbing. If we’re doing a quick observation, then we know 2 is always better than 1. Even though a push pull amplifier is more advantageous over a single-ended amplifier, we need to find the reasons why. Have you ever recorded yourself while singing? Depending on the person, you’re either Mariah Carey, or not. But what really matters is the quality of the recording. If the recording is solid, it’s an example of low distortion. 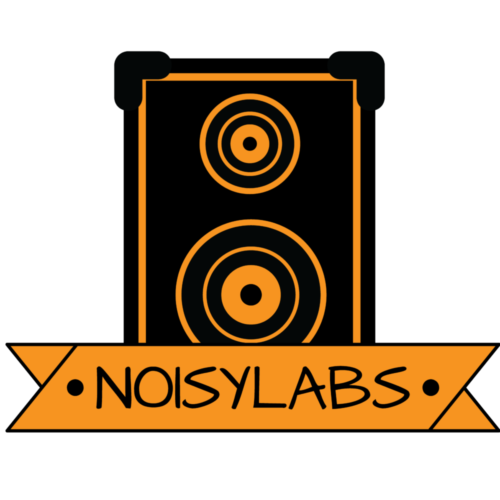 Low distortion is recording equipment having the ability to reproduce audio at great quality. What makes distortion confusing is the use of the word across multiple disciplines. But for audio equipment, it’s viewed in a negative connotation. Distortion means there is a problem with the equipment. But the question is why the problem persists. One common reason it exists is because you play your speakers too loud. Another problem is a microphone being overloaded with sound even though it can’t handle it. There is a plethora of problems relating to distortion. But we want to pinpoint what makes the push pull amplifier low distortion. In the design of a push pull amplifier, we know it has 2 active devices. Next to those 2 active devices are “magnetic distortion”, which is magnetic forces causing magnetic intensity. If there is magnetic distortion present, it causes distortion. If it weren’t for the 2 active devices making magnetic distortion disappear, a speaker would just be a magnetic field with metal equipment on both sides. A ripple happens when power is lost. To break it down, power supplies have 2 currents. For power supply ripples, a direct current derives its power from alternating current. A clear benefit to this is no humming. Magnetic fields enclosed with accessories like coils, and transformers cause vibration. Earthquakes happen because of tectonic plate movement. General consensus states it’s because magnetic fields are directing it, but the truth is earthquakes happen because of stress or strain on minerals. The only way magnetism relates to earthquakes is the way magnetic fields change once an earthquake happens. One way this relates to vibration is if you imagine the ground vibrate once an earthquake happens. Use the rocks as reference to what a coil or transformer would vibrate like under magnetic fields. If we think about it, we’ve always known electronics make noise, but we never knew the reason why. This gives us one insight onto why, but there are more reasons we have to explain before we narrow it down to one problem. Magnetic fields and their intensity are so strong ferromagnetic metal changes shape. We know metals are used inside speakers. If we split each metal into fractions, each fraction of it has what is called “domains”. 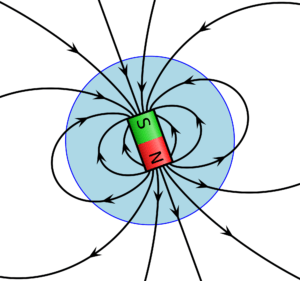 Each domain is made up of magnetic polarization. Once a magnetic field is applied, the boundaries between the domains will change, and this is what causes a change in a metal’s shape. This concept gets way deeper than it is right now, so if you’re still awake reading this, you’re a better person than us. Since we don’t want to bore you, let’s spice it up and discuss negative qualities associated with push pull amplifiers. In electrical systems, a transformer is a critical component to an electrical circuit. Its responsibility is to raise/lower voltages or currents. There is a negative correlation when it comes to voltage and current. Once voltage pressure goes up, current goes down, and vice-versa. The reason we’d want current to go up is to apply more power, and fight through resistance. On the other hand, a higher current also makes voltage drop which makes it more accessible to homes and other appliances. You can find transformers in every residency or outlet. They’re also used to change alternating current to direct current. An advantage to direct current is its application. Equipment like microwaves, blenders, and battery chargers use direct current. If that doesn’t make direct current your favorite, understand it’s safer than alternating current because direct current doesn’t have the ability to enter and exit your body. Super useful to know when you’re repairing outdoor speakers. They’re a part of our everyday lives whether we realize it or not. If you overload one speaker too much, distortion and blown out speakers will result. The 3 main disadvantages to a transformer is bad set-up, bad specifications, and maintenance issues. So while it does provide some advantages, there is also some disadvantages to look out for. An example of this is no awareness as to where the transformer is placed. If you place an amp in an area too hot, damp, or cold, then something will happen, it’s not like push pull amps are outdoor speakers. Another problem is how bulky and expensive push pull amplifiers are. When you consider this, think of the installation costs to set-up these bad boys. Once they’re set-up, think of maintenance costs. You have to think of insulation oil, gaskets, and valves are working properly. This is assuming everything else is working properly. Costs will add up and there is nothing you can do except keep maintenance. It’s similar to a car and how you have to pay up front with payments. But once you pay it off, now you have to watch for oil changes, car washes, and tire checks. With push pull amplifiers, there is a constant expense waiting to happen. Luckily for you, there is one more disadvantage. 2 Transistors Is Better Than 1? Multiple transistors have multiple disadvantages. The biggest disadvantage is if they’re part of the whole circuit, and it breaks, you have to replace the whole circuit. Another problem with 2 transistors is if one breaks, it’s hard to tell which one it is. It’s possible more money will be taken out of your wallet just to check which resistor caused the problem. Troubleshooting from an electrician takes time, and time takes money when it comes to labor. A circuit board is confusing when looking at it. Hiring somebody who’s skilled is a worthy investment. But if transistors are stacked together, prepare for everything on that circuit board to come out. Once this happens, there is usually more money to bring everything back together again. Regardless, hiring somebody is better than doing it yourself, or else you’ll make your problems worse. Are Push Pull Amplifiers Worth It? A worthy investment is one where value outweighs price. When we think of push pull amplifiers, we know it provides low distortion, in turn providing great sound quality. Another benefit is having magnetic saturation absent. Having too much magnetism at play will damage your materials and cause loud humming. It’s an engineering problem that is hard to solve by a lay person, and investing in a quality amp like push pull absolves you of that problem. So not only are you saving problems, but you’re saving time. An exception to these positives is the maintenance and installation costs of these bad boys. The complexity of their manufacturing and installing is their upside, but it’s also their downfall. In the long run, it should be worth it considering your thoughtful of its care. Push pull amplifiers are a great choice if you’re willing to accept upkeep costs. But we wouldn’t recommend another type of amplifier which is better. Until we do, definitely check it out. You got me when you said that push-pull amplifiers can produce audio at great quality because they are low distortion. My husband is planning to shop for a sound amplifier. He said that he prioritized the quality of the sound above anything else, so it’s important for him to find a type of amplifier that can produce clear and crisp sounds.